Migraines can happen for many reasons, but one common cause is eyestrain. The experienced eye care team at Ironwood Eye Care in Scottsdale, Arizona, can help you reduce the stress on your visual system in several ways, including no-glare lenses. Use the online booking tool or call the Ironwood Eye Care office to schedule your appointment today. Some migraine sufferers also experience auras, which are visual disturbances like flashes of light, zigzag lines, or blind spots in your visual field that start shortly before your migraine begins. Can eye problems cause migraines? Yes, there are several eye problems that can cause migraines or other types of headaches. Eye strain is the most common culprit, particularly computer eyestrain. When you overuse the muscles needed to focus properly, your risk of eye pain and headaches goes up. If you work on the computer, play video games, read on an e-reader, or spend hours staring at your phone screen every day, you could be causing the migraines simply by not giving your eye muscles enough of a break. How do I know whether my migraines due to eyestrain?  Your Ironwood Eye Care optometrist checks your eye alignment and eye muscles and evaluates how well you’re seeing with your current prescription. Additionally, your optometrist examines your optic nerves and visual fields to rule out neurological issues. If your migraines aren’t related to eye issues and appear to be neurological in origin, your Ironwood Eye Care optometrist will refer you to a trusted local neurologist who can help. What is the treatment for eyestrain-induced migraines? In many cases, you just need to switch to no-glare lenses with blue light blocking technology to greatly reduce your eyestrain and eliminate your migraines. Sometimes, you may also need to update your prescription, as too-strong or too-weak lenses can cause serious eyestrain issues. Your optometrist can also give you some tips and tricks for minimizing eyestrain and avoiding migraines in the future. This can be as simple as taking quick “blink breaks” while you’re staring at the screen and taking the time to focus on something other than the screen for a few seconds a few times every hour. If your migraine symptoms are making life difficult, schedule your appointment at Ironwood Eye Care through the online tool or by phone for help.